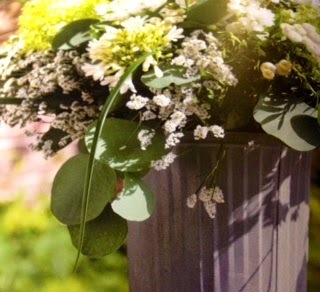 Dutch Style- White Garden, Wedding Flowers. 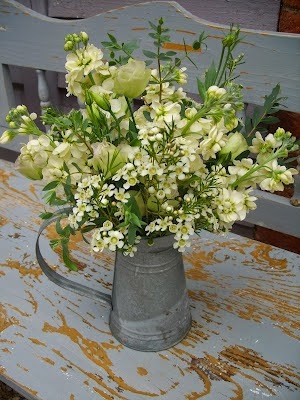 Galvanised Tin Jug with simply cream flowers. Stocks, wax flower, lisianthus. Contrasting here with sage green foliage's. A modestly priced table arrangement. The effect is light and frothy. White flowers are a quintessential element of English Gardens. Some of the great British Gardens feature a White Garden. 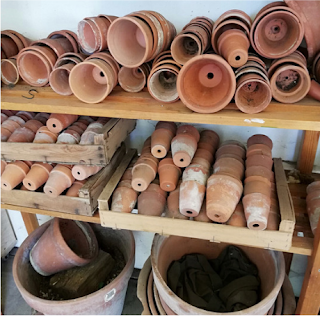 Sissinghurst Castle, Hidcote Manor and Barrington Court. delightfully pretty. 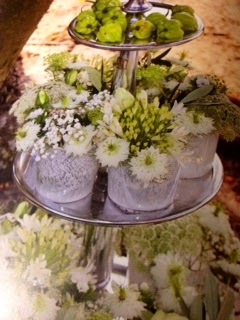 Green and white is bewitchingly beautiful and can be based entirely on foliage's. Variegated forms are some of the most striking. Hosta 'Patriot, strong emerald green leaves. Viburnum 'Mariesii' with its white lace cap flowers. 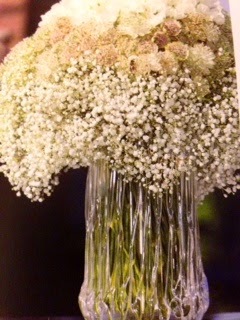 No white flower wedding bouquet is complete without fragrance. blooms associated with strong perfume.